Results from 2 identical phase 3 randomized trials indicate that most patients with rosacea can expect a ≥1-grade improvement with treatment with oxymetazoline cream 1.0%, according to data published in the Journal of Drugs in Dermatology. 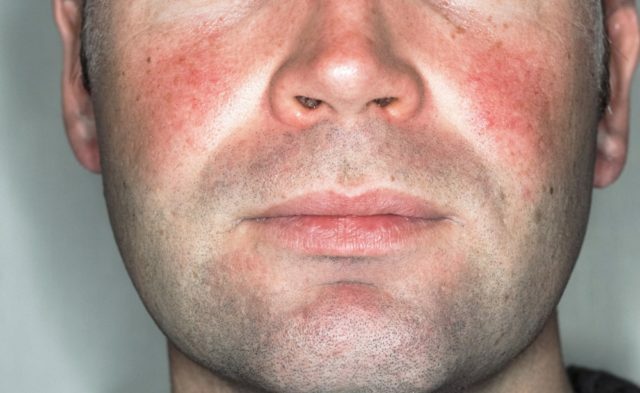 The investigators sought to assess the reduction in persistent erythema on day 1 of therapy, using data derived from 2 pivotal trials of oxymetazoline cream 1.0% for the treatment of persistent facial erythema of rosacea. Adult patients with moderate to severe persistent facial erythema of rosacea (Clinician Erythema Assessment [CEA] grade ≥3 and Subject Self-Assessment [SSA] grade ≥3) were randomly assigned in a 1:1 ratio to treatment with once-daily topical oxymetazoline cream 1.0% or vehicle. The primary efficacy outcome of the study was ≥2-grade composite CEA and SSA improvement from baseline on day 29. The current post-hoc analysis of 885 patients (440 from the REVEAL trial 1 and 445 from the REVEAL trial 2 evaluated the proportion of participants who attained ≥1-grade composite and individual CEA and SSA improvement at 1, 3, 6, 9, and 12 hours postdose on day 1 of treatment. A significantly greater number of patients achieved ≥1-grade composite and individual CEA and SSA improvements with the initial application of oxymetazoline than with vehicle (P <.001) at all postdose time points, starting with hour 1. Safety assessments performed on day 1 were similar in both treatment groups. Limitations of the study include that it involved only short-term treatment and used post-hoc analyses. The investigators concluded that the use of oxymetazoline cream 1.0% for the treatment of persistent facial erythema of rosacea is associated with clinical improvements. Tanghetti EA, Dover JS, Goldberg DJ, et al. Clinically relevant reduction in persistent facial erythema of rosacea on the first day of treatment with oxymetazoline cream 1.0%. J Drugs Dermatol. 2018;17(6):621-626.